In 2014, Basic Outfitters co-founders Laura and Michael Dweck married and moved into a cozy apartment in NYC. It was quickly obvious whose clothing collection would take precedence in their precious and limited closet space. Michael’s eclectic and long-time accumulated sock and underwear assortment would have to go and be replaced by a fresh, new and curated collection of basics. When it came time to refill his drawers, Michael was faced with the choice of expensive designer products or cheap, generic and poorly made basics, both of which would entail a stressful shopping experience. Michael and Laura recognized the overwhelming need for superior and affordable men’s essentials offered to customers in a convenient, easy-to-use way. 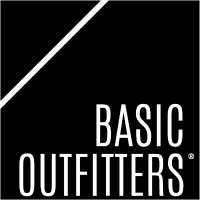 And thus, Basic Outfitters was born. Other than offering our customers unprecedented value with our high quality, low priced basics, we are also offering unparalleled convenience. With our flagship service, Create-a-Drawer, you can refill your entire basics drawer with up to 19 basics including socks, underwear, t-shirts and jogger sweatpants for only $60. Did we mention it takes under 2 minutes to Create-a-Drawer? Pretty sweet deal.